More posable than ever before, the Mobile Suit Gundam MSM-04 Acguy Ver. 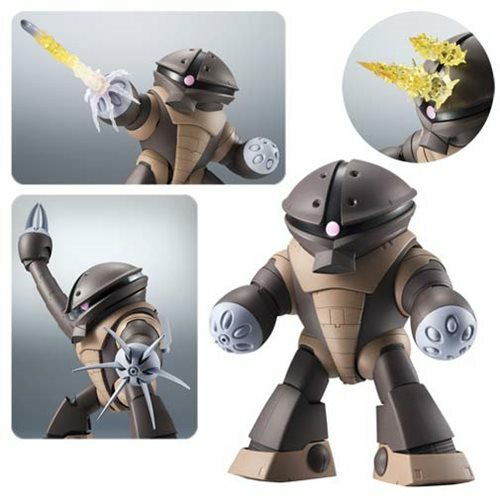 Robot Spirits Action Figure can even take the distinctive crouched pose as seen in the anime. The figure includes 2x extendable arm units, 4x head vulcan cannon effect parts, right arm mega particle cannon effect, left arm six-shot missile launcher effect, a plate with Katsu & Retsu & Kikka, and a red-nose plate. The figure measures about 5 1/10-inches tall. Ages 15 and up.